So, How Much Does a CPR Class Cost? 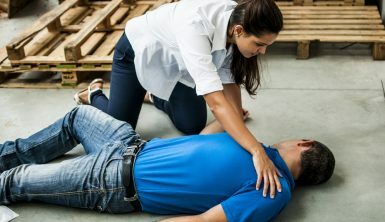 Cardiopulmonary resuscitation (CPR) is a physical technique that keeps the victim alive by pumping oxygenated blood into the body’s organs and oxygen into the lungs as the victim awaits the arrival of the ambulance. Having CPR skills can be a great resource for many reasons, whether personal preparedness, as an institution or non-healthcare worker requirement, as a healthcare worker professional, or as part of one’s general life skills. Other training taken alongside CPR training, the combination of CPR & First-Aid training and also Basic Life Support (BLS) training. The idea of saving a life can feel overwhelming; however, the basics of CPR are quite straightforward: to keep a patient alive until emergency medical help arrives. Breathing/Compression: The course teaches the basic compression and breathing techniques for adults, children, and infants. Automated External Defibrillator (AED): It is important that you learn how to use an AED, which ideally makes your work quite simple once you properly hook it up to the victim. First Aid/Bloodborne pathogens training: Alongside the basic CPR skills and techniques, the training should cover how to dress bruises, wounds, cuts, and how to respond to situations where the victim is losing blood. Airway obstruction: The CPR training should cover how to clear the victim’s airway of external objects. Bag mask: The training should also cover proper attachment of the bag mask. Real life scenarios: The CPR instructor should walk you through a number of real-life situations so you can familiarize yourself with the steps you should take during an emergency, from the first second of the incident to the arrival of the ambulance. You can get CPR training from certifying agencies like the American Red Cross, American Heart Association, American Safety and Health Institute, and the National Safety Council. As already indicated you can take CPR training to acquire emergency response skills. Healthcare professionals too can take this course as a requirement while renewing their certification. Most CPR certifications have a two-year validity period. The cost of CPR training may vary based on the training duration as well as the course’s content. The average cost of individual CPR training is $45-$55 with materials costing $20-$30. Obviously, online CPR training costs far less than the classroom-based training. However, students are still expected to meet their CPR trainers in person to receive the final certification. Additionally, some training providers offer “blended” CPR training, meaning that students can take the cognitive part of the training online before meeting the instructor in person for a skills test. 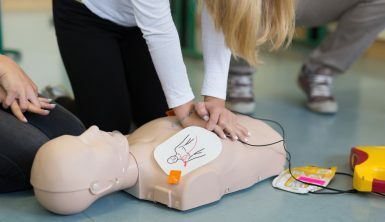 To meet OSHA safety requirements, learning institutions and organizations may offer CPR training to employees for emergency purposes or preparedness. The cost of group training may vary based on the specific course content and materials used. Typically, the instructor will set the class size and charge by the person. The more people in the group, the higher to cost of CPR training. Basic, two-hour CPR training: $35-$45 per person. $280-$320 minimum fee for a class of 8 trainees. Four-hour CPR training that includes emergency response strategies: $45-$55 per person. $360-$400 minimum fee for a class of 8 trainees. If you are employed by a large multinational or volunteer at a non-profit, you may express your interest in obtaining CPR Certification. There are organizations out there seeking to sponsor volunteers for CPR training and certification. Additionally, when CPR Certification is a requirement for your professional license (such as a nurse), the employer is usually not required to pay for the certification. Most CPR training providers offer takeaway learning materials or online manuals for trainees. Hard-copy materials and extra resources and practical materials tend to raise the cost of CPR training – with us, you only pay for certification. Choosing the right CPR training provider can be frustrating. Here are four questions you need to ask to ensure that you sign up for the right certification. Which CPR certification do you need: healthcare provider or standard? Do you need an AED certification too? Does your CPR certification need to focus on children and infants? Should you choose the American Red Cross or the American Heart Association or online? Which CPR certification do you need? Most people are better off with the standard CPR certification, also referred to as CPR for laymen. Do you need an AED certification as well? Check to find out if you also need Automated External Defibrillator (AED) certification. Most CPR training courses include classes on how to use an AED, but not all of them. Do you need a child and infant CPR certification? Some people need their CPR training to focus on children and infants, such as daycare workers and foster parents. For this, you might want to train with the American Red Cross as they break their CPR training into adult and pediatric components. You can also take American Heart Association certification that includes infant, child, and adult CPR training. What is American Heart Association CPR? Most people who need hands-on training chooses American Heart Association CPR. Heartsaver CPR AED – this CPR certification is tailored for the general public and includes infant, child, and adult CPR training as well as training on the use of AED. The infant portion is optional. Basic Life Support for Healthcare Providers – As indicated, this CPR training is designed for healthcare providers. The American Red Cross breaks their CPR training into a pediatric component and adult component. Thus, they offer infant and child CPR as a single training called pediatric CPR. This training may not include AED skills. Adult CPR is taught as an independent class. The American Heart Association offers blended CPR training. This way, learners get to take part of the course online before scheduling an appointment for skills tests in order to receive the certification. Online training takes about 2 hours while the in-person skills test takes about an hour. 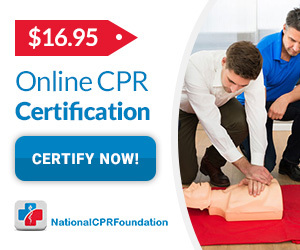 If you need to get CPR certified, certify with us today or learn how it works. Our course material is created by AHA trained providers and meets Occupational Safety and Health Administration’s (OSHA) best practices, so you can rest assured you’re receiving the latest in comprehensive training. If you’re wondering how much does a CPR class cost – they start at just $16.95, you don’t even need to pay until you pass your tests found here on our free CPR study guide.